Yes, it is a green salad with bowtie pasta mixed right in. You read it correctly. The pasta works perfectly here, not only does it taste great, but it adds a little more substance to the salad. It is a little more filling. This is a perfect lunch or dinner salad, if you ask me. I have eaten it a few times in the last week or so. 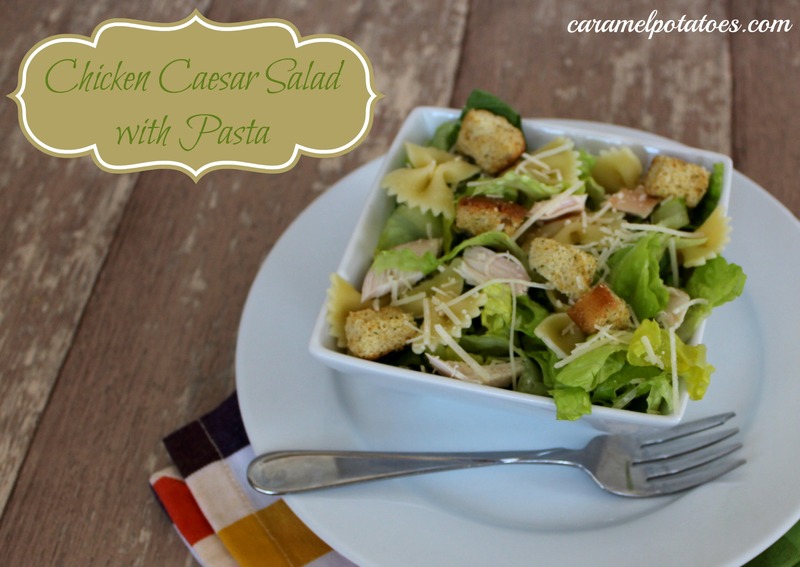 Toss together the Lettuce, chicken, pasta, croutons and parmesan. The ratios will depend totally on your prefrences. The more pasta you add the more filling it will be. Toss the salad with the caesar dressing and serve immediately.